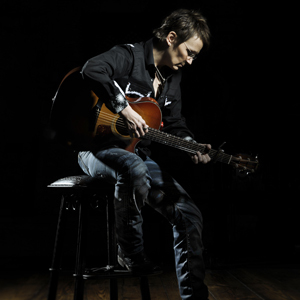 In conversation and in public, Mary Gauthier comes off as a practical, no-nonsense woman. Stoic, even. Which wouldn’t seem unusual, except for the fact that her songs carry so much emotional punch, they can leave you staggering. She has a way of burrowing into that hole so many of us carry inside our souls, and emerging with universal truths that show we aren’t so alone after all. She sings the stories of addicts, broken-hearted lovers, and forgotten souls with sharply observed, haunting detail and a smoky, beautifully weathered voice. Raised in Thibodaux, Louisiana, Mary's travels took her from a Kansas City jail cell to the Louisiana State University philosophy department to the successful Boston restaurant she owned, and all of these experiences color her sparse, bittersweet songs about the downside of American life. The 1999 release of Mary's widely acclaimed second album, Drag Queens in Limousines, gained her national recognition and had her touring coast to coast and performing at festivals from Strawberry to Newport. Since then, Mary has continued to write amazing songs covered by everyone from Blake Shelton to Boy George. Her most recent album, Live at Blue Rock, was recorded at a house concert in Wimberly, Texas, and is garnering rave reviews for gritty, heartfelt renditions of some of her best songs, including "I Drink" and "Drag Queens in Limousines." The Associated Press placed her, "Among the best songwriters of her generation." Joining Mary tonight are Jefferson Voorhees on vocals and percussion, and Annie Staninec on fiddle and vocals. Dark, elemental, and mischievous, the music of the Handsome Family mines the deep vein of fatalism that runs through traditional American music. The Chicago Reader says, "As songwriters it's the eerie, ancestral voice of ‘Anonymous' they ultimately resemble the most." Playing a range of songs that veers from gothic country to love songs, the husband-wife duo of Brett and Rennie Sparks write much of their own material and perform it with strong, mellow vocals and deep harmonies, accompanying themselves on guitar, keyboards, bass, and banjo. Founded in 1993, the Handsome Family is the husband and wife duo of Brett and Rennie Sparks. They've toured extensively throughout North America, Europe, and beyond, and their songs have been covered by artists from Andrew Bird to Christy Moore. NME says, "Each song is like an abridged Flannery O'Connor story, read aloud by Johnny Cash, hovering somewhere between the metaphysical and the mundane." While Brett and Rennie are justly famous for their great stage shows and winning deadpan humor onstage, their albums have also won great critical acclaim. Their most recent, Wilderness, features everything from parlor ballads and seven part harmonies to pedal steel. The New Yorker says the album is imbued with, "An antique sensibility, but a strangely pioneering one, too." It's a good description not just of the album, but of the twenty-year musical journey of the duo themselves.